First cut the cucumbers in half horizontally, then a quarter lengthwise and set aside. Then prepare the brine. Combine the rice vinegar, water, honey, salt and sugar into a pot and bring to a boil. Next, add the peppercorns, coriander seeds and red pepper flakes to the bottom of a jar. Then, pack the pickles into the jar. 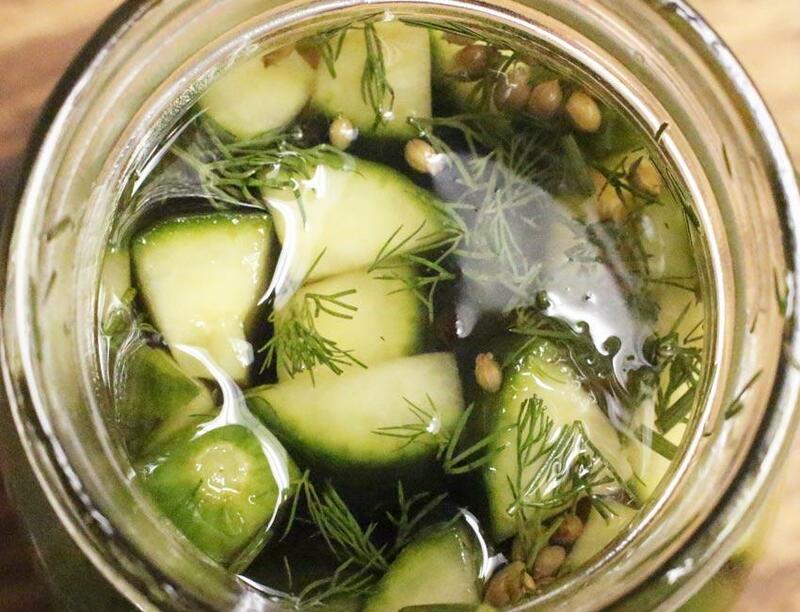 When the brine has come to a boil and cooled down, pour it into the jar with the cucumbers and top with dill. Finally let it cool and store the jar in the fridge for at least 48 hours. Enjoy this recipe as a quick and easy snack for any day of the week!